We don’t head inside when the weather gets cold and the snow starts falling — we celebrate with special Colorado events! Winter carnivals, ice-carving competitions and lighting ceremonies are some of the ways we live the season to the fullest. This bash welcomes the ski and snowboard season with free concerts, aprés parties and a rockin’ street fair in Vail Village. Past headliners included The Wallflowers, Lukas Nelson & P.O.T.R. and Rusted Root. Snow lovers celebrate Norse mythology dressed as vikings with a downtown Breckenridge parade and bonfire, a town-wide talent show, the Ullr Ice Plunge, ice skating and fat-bike racing. 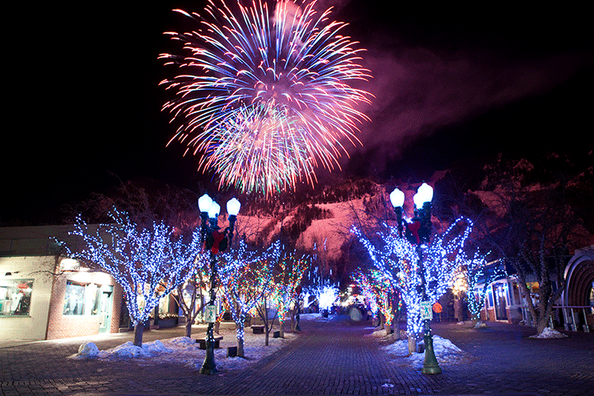 Aspen's annual "toast to winter" dates back to January 1951 when locals began celebrating the town's unique Nordic lifestyle. The-four day fest features on-mountain activities, film screenings, a winterfest, broomball and fat-biking competitions and much more. The Estes Park Events Complex comes alive with winter fun, including a chili cook-off, ski and snowboard demonstrations, beer and wine tasting and tons of other family activities. Put on your faux fur and Viking horns for this family-friendly winter music and beer fest surrounded by the beauty of the Rocky Mountain foothills in Golden. Highlights include the UrllGrass Park Parade, music from local and national bluegrass musicians and tons of local food and craft vendors. Are you brave enough to submerge yourself in the San Juan River's Penguin Plunge? Test your skills in the Anything Goes Downhill Sled Race or sit back and watch the mass ascension of hot-air balloons in Pagosa Springs. Steamboat has reveled in their bounty of trademark Champagne Powder™ since 1914. The carnival features ski-jumping competitions, dog-sled pulls, cross-country obstacle races and a spectacular fireworks display. 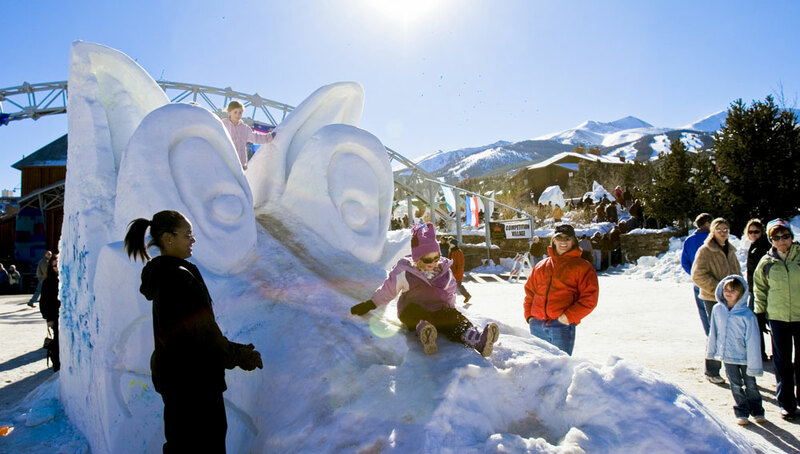 This winter festival in Berthoud includes the sanctioned Colorado Snow Sculpting Competition. See the snow sculptures, visit booths with food and tummy-warming drinks, shop the artisan market, see Santa and Mrs. Claus, view the parade of lights and more! 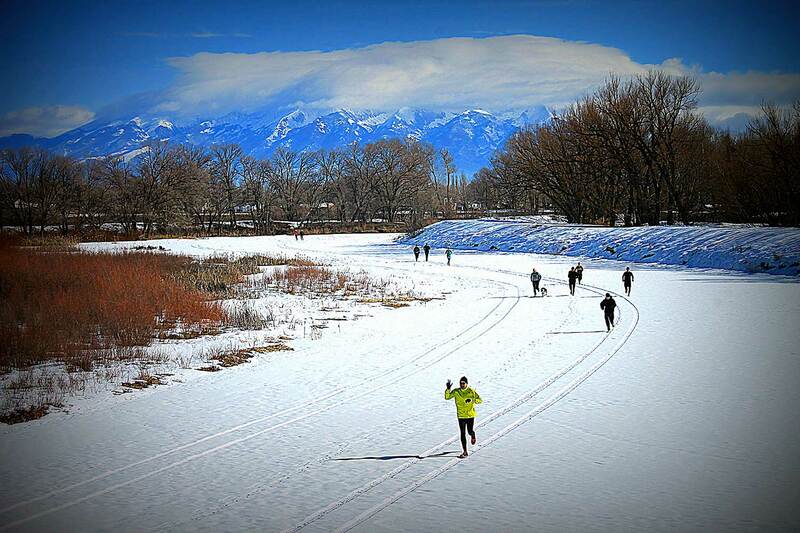 Scavenger hunts, snowman-building contests, the Rio Frio 5k and a fire-and-ice party celebrate winter in Alamosa. Top-roped and lead-speed climbing competitions take place on Lake City's beautiful blue wall of ice.